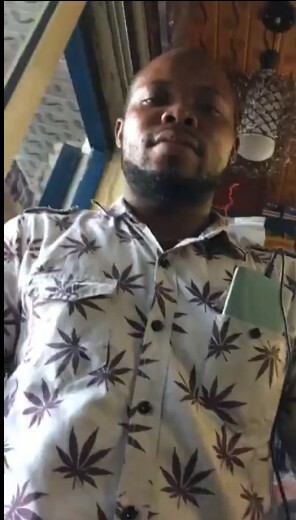 A young man in the picture below is being sought after for allegedly scamming a shop owner with a fake bank alert in Sapele, Delta state. According to reports, the suspect who is nowhere to be found, entered a shop and requested for a Hisense 32″ LED TV which he claimed he wanted to buy. The young man said that he will pay by transferring the money (N54,000) to the onwer’s account. After he was given the account number, he confirmed the name of the account holder and pretended to have transferred the money via his Zenith Bank App which reportedly showed it was successful. It was gathered that the suspect who got a debit alert 5 minutes after the transaction while the shop owner waited for his own credit alert – stopped a tricycle which he told to take him and the new TV to his church. Till now, the shop owner is yet to receive the money and the man’s phone has been switched off. Journalist Sapele Oghenek who shared the report, has warned Nigerians to be wary of this method of using fake bank alerts by scammers.